Jesus died on a cross. His friends took down his body. They laid it in a grave. 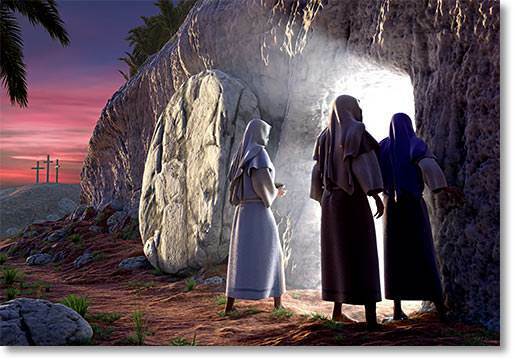 Three days later some of the friends went to Jesus’ grave. They wanted to care for the body. But it was not there. It was gone! The friends went away puzzled. 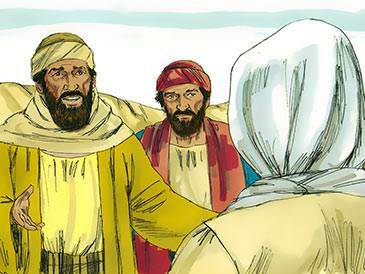 Two of them went toward a village named Emmaus. As they walked along, they talked of what had happened. A stranger came along and joined them. They told how Jesus had been killed and buried. They said his body was not found in the grave. Could he be alive? The stranger did not seem surprised at this news. 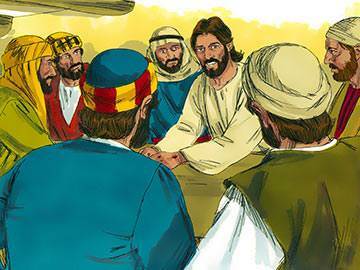 He helped them to understand why Jesus died. They came, at last, to their village. “It is almost evening,” the men said to the stranger. “Will you not stay with us?” The stranger stayed and ate with the two men. As they ate together, the men knew who the stranger was. He was Jesus! 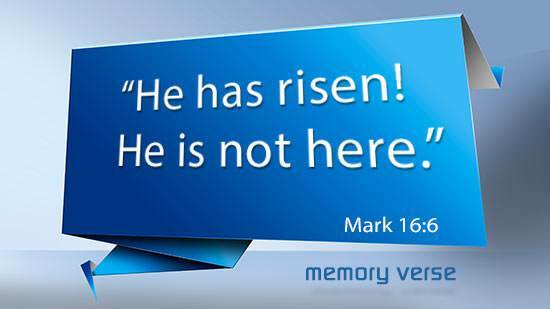 After he had stayed a while, Jesus was gone. “Did not our hearts thrill within us while he talked?” the men said. They were full of joy. 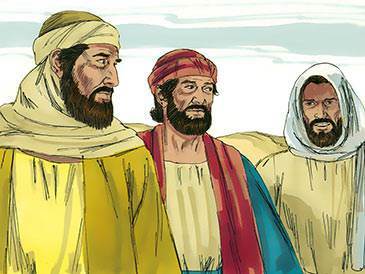 They hurried to Jerusalem and looked up Jesus’ other friends. 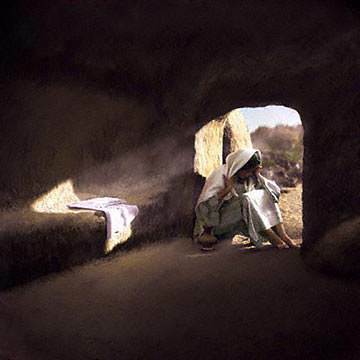 “The Lord has risen!” they cried. 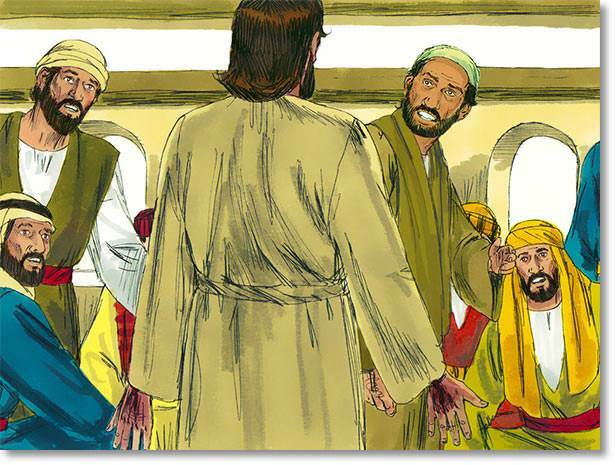 Even as they spoke, Jesus stood among them. “Peace be unto you,” he said. At first the friends were frightened. The friends touched Jesus. They were filled with great joy. “Have you any food here?” Jesus asked. And he sat down and ate. 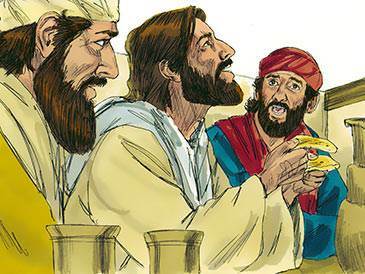 As he ate again with his dear friends, Jesus talked to them. He told them why he had died. 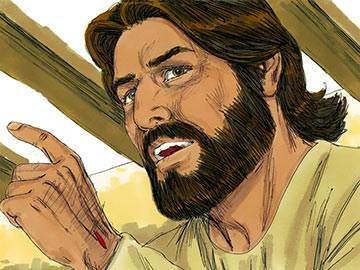 He helped them to see that he was the Son of God.